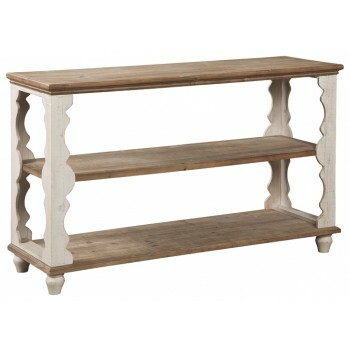 Simply put, this console sofa table is minimalism with maximum charm. 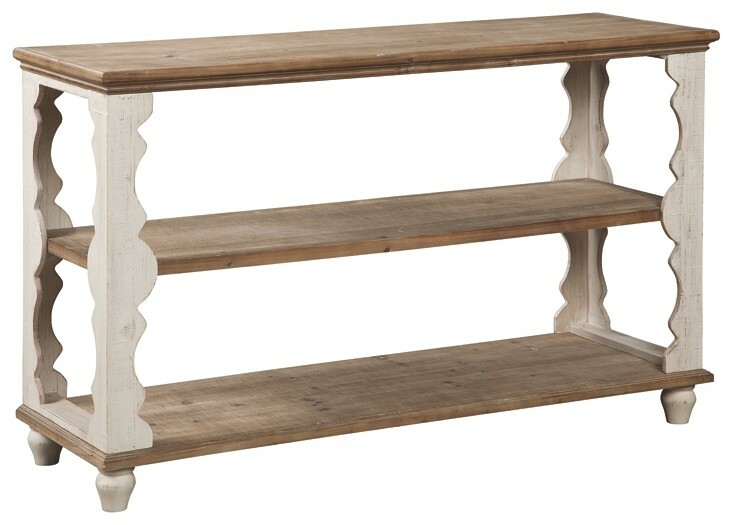 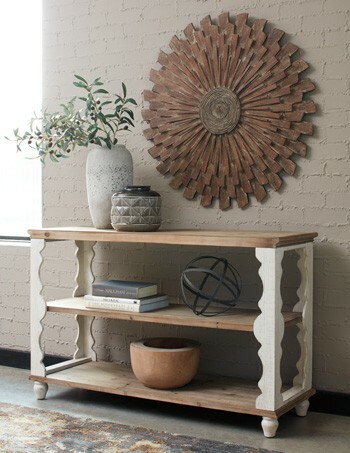 Naturally finished knotty wood combined with antiqued white is an artful combination. 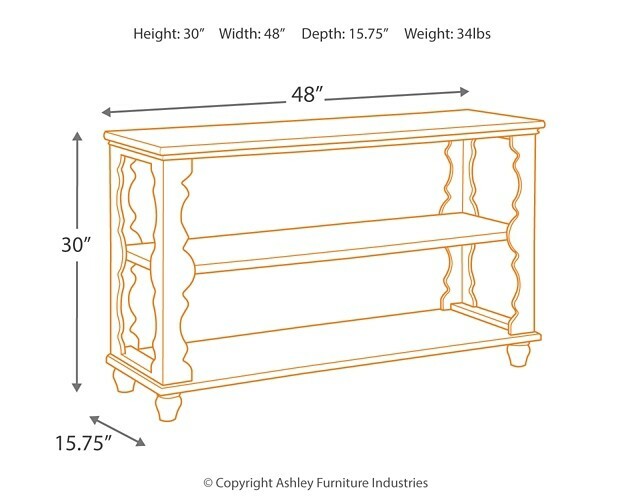 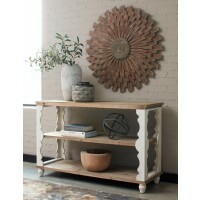 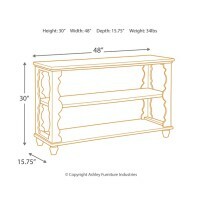 But what really makes this console sofa table so spectacular: scalloped woodwork you just don’t see every day.